Consolidation is big on the mind of the CIO Daniel Morreale, of Hunterdon Healthcare System. After inheriting the multi-system environment two years ago, he has been evaluating a rip and replace initiative, moving to one core system. That’s not the only change Morreale hopes to make at the healthcare system. He’s inspired by the world of social media and the connections it can extend. In this interview, Morreale talks about the “membership model” for healthcare he’s looking to implement; the ups and downs of data archival and storage; and Hunterdon’s current data governance strategy. He also shares his personal predictions for the future of healthcare and bringing the focus away from the toys and back to the people. If you’re in my system longitudinally, can I get rid of those lab results you had 8 years ago? No, and I think that’s a problem. Then again we have to ask ourselves, how long do we keep our EMRs and is anybody running an EMR they were running 20 years ago? Chances are no. But then in the event of legal action, if I have it I have to produce it, it’s discoverable. I would rather only present for discovery that which I’m required to present for discovery. If the data had been purged by policy and no longer there then I’m no longer responsible for producing it. Most health systems tend to grow by buying physician practices or expanding their market, which is a pretty traditional means of doing that work. However, I think an extraordinarily strong mobile presence and web presence can start to attract the 20 and 30 year olds who aren’t really using healthcare now, who I want if I’m in a shared risk environment. At the end of the day I’m doing healthcare and that’s about people. How do I make the experience easy for you and me, or family, and deliver quality, convenience, and access? Campbell: Let’s start with a little background. Tell me about your organization and your responsibilities. Morreale: Hunterdon Healthcare is the only hospital in the county, [located in Northwest New Jersey]. It was started in 1956, in an effort to improve the health of the population and community. As an organization we kind of have a 60-year head start on population health. It’s still a standalone facility, we have just under 200 inpatient beds, and do just under a million ambulatory visits a year. Campbell: What are some of the initiatives you’re working on right now? What are some of the reasons that drove you to CHIME in terms of the learnings you expect to hear from your peers? Morreale: The initiatives we’re working on in the healthcare system right now are dedicated to two propositions. One is to improve usability; how do I make the variety of systems we have more user friendly? And secondly, a consolidation effort; looking across our vast number of software tools and trying to consolidate them. Prior to my arrival at Hunterdon two years ago, every department bought whatever they wanted. As a result, I have 5 document management systems, 6 faxing software applications, etc. We’re trying to consolidate and replace with enterprise level tools when we can. Next year we’re going to start doing core replacements around our financial systems, and that’s going to be a rip and replace. We’re planning an initiative around creating an access center, i.e. one telephone call to concierge level service with the health system. Campbell: Tell me a little about where archival fits into this. With the systems you look to replace, have you gone through that evaluation of migrating versus archiving? Morreale: We have not, and for several reasons: A majority of the healthcare tools that are out there don’t have a good process for archiving, deleting, or massaging patient records, at least at the patient level, which is always a challenge. However, we do have criteria for retaining data, predicated on state and federal mandates. Right now everything is in a tiered data structure. Our more transactional data is on a state drive, our deeper archival data is on EMC, some IBM storage in the middle, but my intent is to go pure solid state. This will add cost, but increase retrieval speed and simplify the environment. But even in that environment I’m just continually adding and saving data. I’m never really deleting anything. So there are records that are 25 years old, that I no longer need, and I have no means of getting rid of them. Campbell: Have you evaluated any archival solutions that are healthcare specific? Tell me about the challenges you see in the vendor marketplace for archival solutions. Morreale: Well on the technology side, I think there’s a wealth of tools, but their weakness is in the healthcare applications. In my EMR I do not have the capacity to delete a record. I absolutely do not have the capacity to delete part of a record. If you’re in my system longitudinally, can I get rid of those lab results you had 8 years ago? No, and I think that’s a problem. It costs me money to store it, manage it and keep it secure. But then in the event of legal action, if I have it I have to produce it, it’s discoverable. I would rather only present for discovery that which I’m required to present for discovery. If the data had been purged by policy and no longer there then I’m no longer responsible for producing it. Campbell: As part of the overall portfolio strategy, do you see yourself consolidating applications and migrating from one EMR to another? Morreale: Eventually I think we’re going to have to, and we’re targeting 2020 or 2021 as the year to make that jump. That is my opportunity, and only opportunity, to clear records. Campbell: Is there hope that in that time there are some advancements made? Campbell: Shifting gears, what is your data governance strategy within the organization? Morreale: Data governance is pretty straight forward. We have our applications tiered for priority, and as a result of that, the data is tiered. We ask the primary departments to be the titular owner of that data, in that the patient is the real owner. We look at IT services as being the police – the ones who stores it, protects it and keeps it under lock and key. When there is a challenge around data, it always manifests in reports: what is the length of stay in system A, is it not the same as in system B? With great effort, a year ago, we undertook building out a data dictionary. To this regard, I know that when I’m using field MX4233 in my EHR, I know it’s a patient address and that it is defined in this way. Then we’ve carried that across to the other clinical systems that have that data. It is by no means complete, it’s a continuous effort, and it’s massive with the 160 different systems. We really concentrated on those items that people are regularly reporting on. As such, when I produce an end of day admission report in system A it’s also the same in system B.
Campbell: What’s the vehicle or mechanism that you’re using? Morreale: This is one of the examples where we built our own tool. We went out and created a data lake: we’re taking a snap shot of the data, putting in the data lake, normalizing it, and then consolidating all our reporting out of the data lake. So, at least my reports are more consistent than they were prior. Campbell: Where do you see an opportunity for innovators in the vendor space? Morreale: I think there’s opportunities in home health, which is pretty much owned by a few big companies with technology that’s a little dated. I think there is a whole field of healthcare to be discovered in social media. How do we capture that? How do we integrate into that world? How do we use that to attract future patients? Most health systems tend to grow by buying physician practices or expanding their market, which is a pretty traditional means of doing that work. However, I think an extraordinarily strong mobile presence and web presence can start to attract the 20 and 30 year olds who aren’t really using healthcare now, who I want if I’m in a shared risk environment. Use that as a tool to create that sticky relationship between you and my health system so that when you do need our services, we’re the natural choice. I think the value proposition around that has to be very high, but it’s certainly difficult to compute. We’re putting a lot of effort into that arena. My development team is looking at creating what we’re calling a ‘membership model’ for the health system. It’s essentially taking the concepts around Netflix and American Express: you become a member, and incorporate that into how I deliver care. If I can convince you to be a member, I can give you one telephone call scheduling; I can stop leakage out of my physician offices by scheduling your next appointment as you’re walking out the door; or schedule that x-ray or that minor surgery you might need. I can broadcast educational information to your mobile or home device. I can create social platforms for you to talk to other people with your disease state. I can do all of those things as a background product, but at the same point I’m creating that sticky relationship between you and my health system. We’re also looking at integrating wearable data. We are fortunate enough to be the in the healthiest and wealthiest county in New Jersey, so we think there’s the capacity to offer the service to our community: let us monitor your Fitbit or your wearable device data, tell you how you’re doing on your health effort, and give you an opportunity to earn points. We have a points program in our membership model – buying broccoli instead of bread; going to the gym – those sort of things. And I think that kind of stuff is going to be more of my future than buying physician offices. Campbell: There seems to be a diminishing return there or rather a saturation to that model. Morreale: I think so. How many physician offices can you have in a community? How far can your reach go? If I’m doing it through mobile and social media, my reach is greater. I’m not limited to 20 miles or 25 miles. I can be attracting or engaging people who are 50-60 miles away. I can help you take care of your parents who live in Phoenix or back in Boston, I can do all of those kinds of things. We think there’s some potential there. It’s going to be one of our big investments in 2017 – to further define that model and see if we can make it fly. Campbell: Certainly enlightening and inspiring. Morreale: I think it’s just a different way of looking at what we do. I don’t like to get caught up in the technology. I know a lot of CIOs who get caught up in the technology and the toys, and the toys are cool. I mean let’s face it, but at the end of the day I’m doing healthcare, and that’s about people. How do I make the experience easy for you and me, or family, and deliver quality, convenience, and access? I think that’s where a large portion of our future has to be. Daniel Morreale is CIO at Hunterdon Healthcare, a community hospital based in central New Jersey. He has held CIO roles at a number of organizations, including Riverside Healthcare System, Kingsbrook Health System, and Atlanticare. 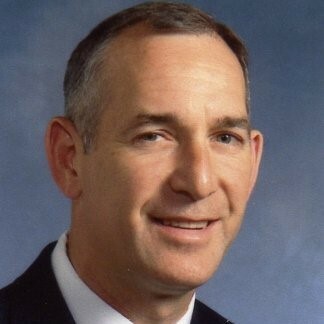 A CHIME fellow, Morreale was the recipient of CHIME’s’ Innovator of the Year’ and ‘Collaboration of the Year’ Awards, and was recognized by Computerworld Magazine as one of the ‘Premier 100 IT Leaders.’ He also received the Safety Net Award from the National Association of Public Hospitals, and the Smithsonian Center of Innovative Technology Honors Laureate Award. Morreale is past-President of the New Jersey Chapter of HIMSS. Justin is Vice President, Strategy, at Galen Healthcare Solutions. He is responsible for market intelligence, segmentation, business and market development and competitive strategy. Justin has been consulting in Health IT for over 10 years, guiding clients in the implementation, integration and optimization of clinical systems. He has been on the front lines of system replacement and data migration and is passionate about advancing interoperability in healthcare and harnessing analytical insights to realize improvements in patient care. Justin can be found on Twitter at @TJustinCampbell and LinkedIn. There is no shortage of projects going on at District Medical Group, where Jeff Weil is CIO. From an integration engine implementation to clinical, business and infrastructure upgrades, and implementation of workflow optimization technologies, Weil and his team certainly have their plate full for 2017. However, for someone who has worn almost every hat in the industry, you would expect nothing less. Weil talks about population health initiatives and how Technology Leadership approaches have changes over the past year; the inexpensive side of data storage; interoperating between different practices with different systems; and how in some cases it is working with records that are literally still in boxes. Eventually the ROI is going to turn in our favor if we’ve got staff in house to design and develop interfaces and if we purchased an integration engine as opposed to outsourcing this work to our Vendor Partner. We really didn’t have a robust infrastructure from which to have an appropriate foundation to expand our business. That was my primary mission when I came in, and I’m finally starting to feel that we’ve accomplished most of that mission. The thing that really stuck out to me at CHIME this past year was the difference in attitude toward population health technology. Last year, most CIO’s felt they needed all the technology. This year, since people have started to get into these initiatives already, and have started to actually practice some of the data gathering and some of the reporting around population health initiatives and value based care contracts, they took a much more conservative approach. I think we’re moving into a very interesting time. We still haven’t quite figured out how to optimize our electronic health record systems. We still have physicians struggling with utilization of these systems, yet now we’re being asked to add on new technologies whether it’s connected health or population health initiatives. Campbell: First and foremost, if you could tell me little bit about yourself and the organization, what EMR application that you use and some initiatives that you’re working on. Weil: I’ve been in this business a little over 20 years. I sort of fell into it and have worked on large scale engagements in engagement management, mostly with multi-facility or academic health systems. I’ve worked on the provider side in both the acute and ambulatory space, as well as on the vendor side for a little bit, and I’ve done my share of consulting. A couple years ago, I had an opportunity to come here [District Medical Group], from a health system in Fort Worth, Texas and decided it was the right time for this move. We are primarily a large physician practice, and we also have a couple of our own clinics. About 70% of our revenue is based on the fact that we supply all the physicians and mid-level providers–CRNAs, physician assistants, etc.—to Maricopa Integrated Health System here in the Phoenix area. We also head all eleven departments over there as well as oversee residency programs for the University of Arizona College of Medicine. We just recently made an announcement that we’re going to be working with Dignity Health and Creighton University to train some of their residents as well. Campbell: In terms of the technology that is being leveraged from an EHR and EMR perspective, does that vary from physician to physician or is there an enterprise standard? Tell me a little bit about how you’ve acquired physicians in the past and perhaps the need to migrate data into the system. Weil: Usually we start from scratch in determining the technology requirements for each one of our partnerships. There will be requirements for clinical documentation as well as practice management. For instance, we do the bulk of the professional billing for the physicians that are at Maricopa. As such, when there’s an encounter that happens over there, Maricopa does the facility billing and we do the professional billing for that physician’s charge. We have an interface with them and their Epic system. All of the clinical work they perform is in MIHS’ Epic system. In terms of own internal systems, for our clinics, we have GE Centricity EMR as well as GE Centricity Business for our practice management system. Campbell: Are there challenges around interoperating, maybe between different care settings – acute care versus outpatient care – and are there any technologies that you’re leveraging to facilitate that? Weil: There are because we’re working on these partnerships activities. For instance, with the behavioral health provider partner here in town, we have to bring in the billing information from a different EMR and practice management system into ours, so we always have to get creative in working on integration strategies. Moving into this next fiscal year, we’re investing in our own integration engine, as well as bringing on staff to support that initiative. If you think about it—and I’ll just throw out the normal budgeting number—but every single time we do an interface it may cost $15,000 and take 90 days to develop. Eventually the ROI is going to turn in our favor if we’ve got staff in house to design and develop interfaces on our own integration engine platform. We’re getting ready shortly after the first of the year to start our implementation on that. Campbell: Interoperability is a topic that’s near and dear to me. We actually hosted an interoperability panel last year with some folks representing HIEs, some representing government, and some representing practices. It was eye opening to say the least. I imagine you’ve got the short list of vendors out there. Are you going through the selection process now? Weil: We already went through a bit of a selection process. What it came down to was the fact that our analysts need to wear multiple hats and even though I may bring in an interface engineer, they may also be doing a bit of database administration for our healthcare systems. That’s why we decided to go with Corepoint, because it offers an object-oriented programming interface, as well as a modular build approach. Campbell: Absolutely. We’ve heard great things about Corepoint; rated top of KLAS and they offer some great thought leadership. They have a great community and resource center, so it’s no surprise that they would be at the top of the list. I imagine, coming from a diverse background where you’ve actually worked on the consulting side of it before, you get it and you understand from the vendor perspective the things to look for and the things you want to do your due diligence on. Weil: We’re a fairly small shop. I’ve got seventeen people in all of IT, and that’s both on the applications and technology side, supporting almost 1100 employees. We’ve got quite a bit going on so I do need people to wear multiple hats and if I can make it a little bit easier for the person working on the interfaces to do their job to build and maintain, then so be it. Campbell: Tell me how integration works today for the medical group. Is it point-to-point as opposed to hub-and-spoke, and will you be replacing that current model? Weil: Everything is point-to-point. The plan is to deploy the new interface engine and move to a hub-and-spoke model. Any new initiatives would be implemented first on the new platform with the goal being that by end of June, we will have migrated all of the legacy interfaces over to that platform. Campbell: And the good news is, at this time, there’s really a lot of interface libraries to leverage out there. It’s not like in the early days of EMR adoption when it was a challenge, based on the APIs that were available. Today, given the communities that are out there, it should make for a more efficient deployment of integration across the enterprise. Shifting gears, a bit, tell me a little bit about archival, is that a topic that’s relevant to your organization? Do you ever face legacy application retirement? Tell me about the strategy within the organization in terms of managing the application portfolio, if that’s something that falls underneath your purview. Weil: When they brought me in two and a half years ago, my primary mission was to build a robust infrastructure from which we would have an appropriate foundation to expand. That was my goal when I came in, and we finally got to the point where the infrastructure is in a good place. We haven’t had to retire any systems yet, but what we did do was implement more of a cloud-based archive strategy. We have an appliance on-site and everything gets backed up to it on a schedule. If we need to restore, we can do quick restore. The appliance actually archives to the cloud and replicates so it gives us multiple layers of redundancy that we really need. Campbell: Absolutely. We actually recently supported a client with our business continuity product called VitalCenter. They had a downtime situation and VitalCenter allowed them to continue to document through the downtime. It’s like an insurance policy – you have to have it. What are your thoughts on data retention requirements? What is your policy in regards for retaining data whether that’s in paper form or electronic form? Have you had eDiscovery inquires in the past where you’ve had to furnish and produce a patient chart based upon an inquiry? Weil: You can imagine that with a large number of providers, record inquiries occur quite often, so we’ve had to do quite a bit or eDiscovery. We do a combination of things, depending on the situation. For instance, at the large special needs children’s clinic, all of the legacy medical records have been scanned in to the system. We basically have a database of scanned documents that we have to use if there’s older information we’re trying to pull. For the most part, as part of eDiscovery process, we either take some sort of an export out and send it to file or we have to print a whole bunch of stuff. We end up looking through all of our databases. We also provide medical directorship to some nursing homes/long term care facilities and other facilities here in the area. They don’t – as I’m sure you well know – necessarily have EMR systems and as such many records are in boxes in basements or over at Iron Mountain. We have to go to wherever they store their records and pull that information out.As you might imagine, it’s not an easy task. Campbell: No, certainly not. I can imagine just the amount of effort that’s needed and that detracts you from other organizational objectives. It’s not as easy as one thinks when it becomes electronic because then you have to pull from different systems, you an audit trail to maintain. A lot of the time the metadata is the most important component because it tells you what happened, when and why. You have to protect the integrity of that patient record and be able to show why the care was provided in a certain way for that patient. Closing out that topic, one of the challenges Galen finds when working with clients is that, when we’ve migrated them from, let’s say Allscripts to Epic, we archived a lot of the data. What they don’t get sometimes is they think it’s simply a matter of using one of the industry agnostic vendors, but healthcare’s’ a lot different. Fundamentally, when you archive that data you may be forced to change the shape of. You’re moving it out of the system and the shape of that data could change. In addition, when you present that data for viewing, you could also be changing the shape of it. There’s just so many considerations and as you can tell, it’s been a focal point for us. One of the things I’ve talked about with your peers is the purging of data. What is your policy on retention? Do you hold data forever? I imagine that takes up boxes, and that takes up storage space. Tell me a little bit about the organizational policies and maybe future strategy in regards to that. Weil: My understanding is that it’s seven years and then for pediatrics it’s until they’re 21. We haven’t gotten to the point yet where we feel like we have to get rid of anything just because storage is fairly cheap at this point. For now, we’ll keep on storing and storing until it seems like it’s worthwhile to move things off to something, which I don’t know what that would be yet. It’s an interesting topic because it used to be much more relevant than it is now. The cost of storage has gone down so much. Years ago you used to have information life cycle management and based on the type of data you used to do this that and the other thing, but that isn’t necessarily as relevant anymore. Campbell: Now the issue is that it’s the volume of the data. As so many people can appreciate, with the deluge of data, how do I get at the data I want and how do I derive insights from that. That’s the promise and premise of population health. Let’s talk about initiatives for next year. I imagine the deployment of the interface engine technology and development and delivery of those interfaces is going to consume a lot of your time next year. Do you have a plan as to when you anticipate completing that project? Are there other population health initiatives that you have on the agenda for next year? Weil: There are a couple of population health initiatives under discussion. We just started a value based contract with one of our payer partners. We’ve got the Corepoint implementation. We’re talking about two factor identification for our remote access portal. We’re going to implement an across the board email archiving strategy. We just updated to Exchange 2013 and that has its own robust archiving strategy, and we want to be able to handle the archive activities for our users. We’ve got a decent sized EMR upgrade coming, that will be done hopefully sometime in the first quarter. We will likely replace some of our ancillary clinical systems with a cloud based solution. We have a SharePoint upgrade scheduled. Campbell: So no shortage of projects in the next year! Weil: No and if you know me this is pretty typical, I don’t necessarily like to remain stagnant too much. This years’ workload is actually less than it has been in the past couple of years so my team feels like we’re going a little bit easy. This years’ projects are smaller in scope and size and will allow for focus on optimization activities. Campbell: Let’s circle back to CHIME. Tell me why you chose to attend the event? Were there key themes that stood out to you this year? Was there a focus group that struck you? A presentation that was compelling? Weil: From my standpoint, it’s where can you go and collaborate with close to a thousand people that have the same interests and challenges that you do. That’s why I enjoy being a part of CHIME and always get a lot out of it. I feel energized when I come back to the office from a CHIME forum. When you’re around the industry for as long as I’ve been, there’s a lot of benefit to being able to visit with and network with old friends and colleagues to be able to share ideas. Security was up there. I have to say I think in the past two years I’ve come to learn more about security than I would have ever known. I’m also the organization’s chief security officer, and we’ve implemented intrusion detection and protection systems. We have pretty sophisticated endpoint protection for both malware and viruses, and we have endpoint encryption. The only thing that we’re missing, that I really want to put in place, is SIEM technology. We are logging, but to actually get anything of value out of the logs is a monumental task right now. The thing that really stuck out to me at CHIME this past year was the difference in attitude towards population health technology. I went to one focus group that was done by Cerner that I had attended last year. We run through an exercise where we are given $10 million dollars are provided the programs objectives, types of contracts, and the costs for all the different kinds of resources that may be needed including human capital, systems, and technology. We teamed with three other CIOs to determine what we thought the best plan is. Last year, everybody said I need a data warehouse, I need this, I need that, and blew all their money on the technology. This year, there was a stark difference in how the group approached the exercise. It seems that since people have started to get into these initiatives already, and have started to actually practice some of the data gathering and some of the reporting around population health initiatives and value based care contracts, they took a much more conservative approach. They were bringing on health coaches; bringing on a data scientist to look through the CMS data to do manual risk stratification; bringing on care managers and care coordinators. Then in year two or three, they begin to implement their pop health solution, when you see what you’re getting in from an incentive stand point. It’s sort of guarding that ROI in a much more conservative approach. I actually thought that was extremely interesting to see the difference in approach in just a year. Campbell: Fascinating. 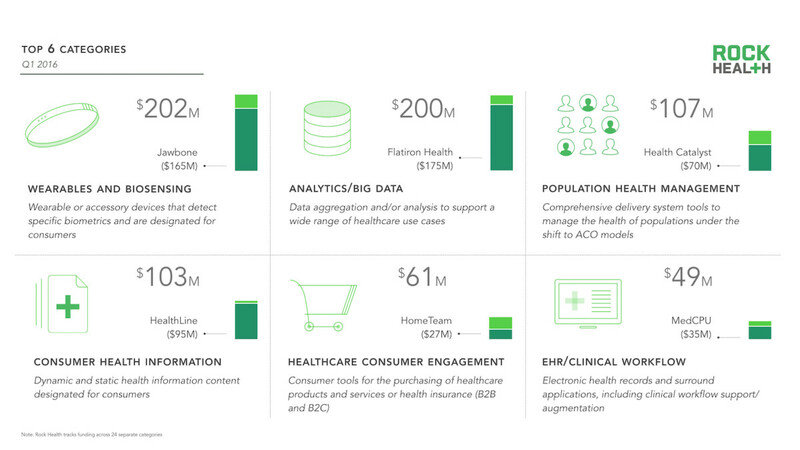 It still remains a very fragmented pop health and analytics market. John Moore, of Chilmark Research, pointed out that people are still dipping their toes in the water, and like you said, what they want to do is understand the incentive and reimbursement side of it, and make sure that the dollars and cents are making sense, before they make a substantial investment in technology. As such, we’re seeing a lot of point solutions, such as spreadsheets, taking the place of adopting an enterprise population health management solution that is marketed as solving all problems, but certainly comes with a huge price tag. Weil: As with any of these technologies when they first start out, there probably isn’t any one of them that has everything that you need. You notice people sort of piecing together little best of breed plugins as opposed to going with a single enterprise solution. That’s been typical of this industry over the time that I’ve been in it. When things start out people tend to go with a best of breed approach, and have to integrate the systems. The vendors eventually catch up and offer either all-in-one solutions or they end up buying and putting together suites of solutions. Campbell: Right that makes a lot of sense. It seems the path to realizing true ROI is by approaching a slice, and solving for a particular problem, as opposed to trying to boil the ocean. I certainly appreciate your time here in speaking with me and for the tremendously salient and cogent insights that you’ve provided. Are there any closing thoughts before we conclude? Weil: It’s very interesting to speak about these things. I think we’re moving into a very interesting time. We still haven’t quite figured out how to optimize our electronic health record systems. We still have physicians struggling with utilization of these systems, yet now we’re being asked to add on new technologies whether it’s connected health or population health initiatives. Jeff is an experienced Healthcare IT Executive with over 20 years of experience leveraging the use of technology to meet the needs of Healthcare Organizations in the Acute Care, Academic, Public and Ambulatory domains. 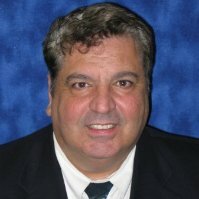 He brings with him a wealth of experience in leading teams in the implementation and support of multiple vendor EMRs, Vendor Neutral Archives, Medical Imaging Systems, Ancillary Clinical Systems, Perioperative Systems, Supply Chain Management Systems, Solution Design and Disparate System Integration. 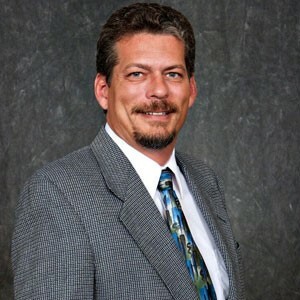 Prior to joining DMG, Jeff held the Role of Project Director at John Peter Smith Health Networks in Fort Worth Texas where he was responsible for the delivery of Information Technology and Reporting needs required to support the startup and sustainability of the organization’s 26 DSRIP (Delivery System Reform Incentive Plan) projects. Jeff holds a Bachelor of Science in Business Administration from Ramapo College of New Jersey and is a Certified Professional in Health Information Management Systems and is Certified Healthcare CIO eligible. He has been an active member of the Healthcare Information Management Systems Society for over 20 years where he currently serves on the board of the Arizona state chapter as Director of Health Information Exchange, Interoperability, Privacy and Security. Jeff is also a member of the College of Healthcare Information Management Executives, also known as CHIME. Jeff serves on the Arizona Health-e Connection Board of Directors, which is a statewide non-profit organization driving the adoption and optimization of health information technology and health information exchange. Dr. Hal Baker is in a unique situation as a CIO who is also still a practicing physician at WellSpan. As his organization finalizes their Epic transition plans, he recognizes the importance of having an integrated patient record across the system and creating new workflows to accommodate the 5 hospitals and over 100 practice locations that are all coming together. In this interview, he talks about his organization’s community-focused, health data retention practice, his plans for legacy application support, and the value of attention units in the healthcare industry. We quickly experienced the value of an integrated patient record across offices, which highlighted the previous disconnect between maintaining two separate records in an inpatient and outpatient setting. We’re bringing over seven years of laboratory and clinical information for our patients. We recognize that’s more than typical, but we think there’s value in having that depth in the record for our community. I’ve been through enough of these to know that everything looks good in a demo and you need to get through the first couple of weeks before you figure out what have been the great wins and what have been the great challenges you didn’t appreciate until you got there. The reality is that the most significant innovations arise out of smaller startups who then become large. However, a majority of small startups aren’t successful, and most legacy systems persevere. The currency of the business of healthcare is dollars, but healthcare is applied in a currency of minutes and each minute a doctor or nurse spends doing one thing is a minute they’re not spent doing another. Campbell: What has your focus these days? Baker: To provide some background, we’ve had a couple of mergers or acquisitions into WellSpan, that we are trying to consolidate. We have McKesson, MEDITECH, Cerner, Allscripts systems that we’re migrating to Epic. Campbell: That’s a good launching point. I presume that decision was made to simplify the portfolio and to move forward with an enterprise standard for an EHR. Can you elaborate on your decision to consolidate applications, and maybe also elaborate on how your organization manages applications within the portfolio today? Do you have further consolidation plans in the future? Baker: From an electronic health record perspective, we went live in ambulatory and inpatient in a best of breed approach for legacy WellSpan. At the time, it was hard to appreciate the value of an integrated medical record, when you had disintegrated paper records at each office. We very quickly started to see the value of an integrated patient record across offices, which highlighted the disconnect that occurs between the two separate records in an inpatient and outpatient setting. As we had other communities join WellSpan we recognized the need to consolidate around a corporate-wide solution. It didn’t make sense to further propagate our non-integrated solution—a different billing system vendor, and a different EHR vendor on the inpatient and outpatient side. That’s how we came to our ‘Project One”, of coming together with one record for all of WellSpan. Campbell: Related to the topic of consolidating data, what are your thoughts on health data retention? I talked to some of your peers at CHIME and they had concerns over ‘hey I have to store this data for the patient but I may not care about a lab result for a patient that’s 8 years old, but I also have no way of purging that data.’ Is that something that you have an opinion on or you could perhaps go in a different direction with that topic in regard to the eDiscovery inquiries you get and how your organization manages that? Baker: We are converting seven years of clinical data in our migration – we’re bringing over seven years of laboratory and clinical information for our patients. We recognize that that’s more than normal but we think there’s value in having that depth in the record for our community. We have an archival strategy put in place to retire our legacy applications. With the absence of a rigorous purging strategy, the entire database record needs to be maintained for the longest patient whom you have a record retention requirement for. In our state that, would be last baby born on the old record plus 21 years plus 7 – so 28 years. Our statute of limitations is age of majority plus 7. Campbell: That makes sense. In talking with another one of your peers, who’s migrating over to Epic as well, he discussed the considerations and challenges with migrating data from a legacy application over to Epic. Baker: Right. There are three buckets to my mind: there’s the data you need to import into the database; there’s perhaps a subset of that, which is data that you don’t want to import in bulk, but you want the ability to import selectively as needed later on; then there’s the data that you need to have access to for when you need it. For example, I need to go back and look at the past reports from 15 years ago, but I don’t necessarily need to move every pathology report from 15 years ago into the record— rather I need to have access to it from your archive system. Then there’s the metadata that you either may need for population health or business purposes in the future that you haven’t recognized you need. This could be due to requirements from a legal medical auditing perspective or for quality or for billing purpose under statute of limitations for regulations. Campbell: I imagine the legacy systems are going to have to have some sort of application support, how are you approaching that? Are you going to dedicate all your existing staff to the new application and seek outside back-fill to support the back-end, or are you taking the approach of have some people support the legacy application while others in their departments learn Epic? Baker: We staffed up for Epic with a combination of experienced IS staff, experienced operational staff, and a few outside people. We got everybody trained and certified. For the staff who continue to support the legacy application who did not move into the Epic team, we generally supplemented vacancies there with contracted staff from some of our contract partners. A critical element was implementing a very tight change control for the legacy systems and limiting any nonessential changes. Campbell: Very good. What’s been the sentiment around Epic? Being a provider and talking to the other providers, I’m sure you have a keen awareness. Is there a lot of excitement of moving to the application, given the seamless nature with which you’re likely to be able to access data across care settings in the new environment? Are there any apprehensions they may have? Baker: I think any move of this magnitude is both exciting and challenging. Our providers are looking at this thoughtfully and are actively involved in it, but we’ll know more when we get into training and go-live. I’ve been through enough of these to know that everything looks good in a demo and you need to get through the first couple of weeks before you figure out what have been the great wins and what have been the challenges that you didn’t appreciate until you got there. Campbell: Let’s discuss data governance as it relates to the migration. There are different departments and specialties that will have different nomenclatures and dictionaries that they need to manage. How is WellSpan Health going about managing those dictionaries and deciding on potential adjustments to workflows to accommodate the new system? Baker: We’re designing new workflows in the Epic process because we’re bringing together 5 hospitals and over 100 practice locations, many that were on different electronic records. We’ve had a conjoined effort to find new workflows that everyone will be moving towards, and it has been around data governance principles, having single points of truth, and standardizing nomenclature. The expectation is that all traditional behaviors are going to need to be worked into the new workflows and those traditions will need to change to accommodate the workflows. Campbell: Very good. Let’s shift gears to CHIME a little bit. Tell me about your impressions this year. Was there a particular session you attended that resonated with you? I know that CHIME is valuable from a networking perspective but what were the themes you witnessed this year, and in talking with your peers, what were the common topics? Baker: The most interesting parts of CHIME are hearing people figure out how to creatively leverage the data. I went to a talk with a doctor from Mercy Health, who shared their approach to leverage data topography to understand correlations occurring in their system that are clinically meaningful, but would otherwise not be recognized. For instance, they discovered that a diabetes nerve medicine use seemed to correlate with an earlier discharge for a knee replacement. That was a hypothesis that arose from the data that’s being validated rather than one that was thought of and queried. I think it’s going to get very interesting when we look at how can we leverage these databases to generate information, opportunities for improvement, and for when the data becomes the source of hypothesis versus it all being contemplated. Campbell: For the startup audience that follows the Health IT & mHealth, what catches your eye when it comes to smaller organizations or vendors? CIOs tend to be risk adverse and they’re attracted to something that solves a problem for them and a vendor organization that’s sustainable. Tell me why you might consider a smaller startup and/or what are the areas that you see as an opportunity for them to address the market incrementally? Baker: I think it’s honestly a calculated gamble on whether to strategically bet on a small innovator or a major vendor. The reality is that the most significant innovations arise out of smaller startups who then become large. However, a majority of small startups aren’t successful, and most legacy vendor systems persevere, but get caught in some degree of inertia that makes innovation harder. Campbell: While at CHIME, Blain Newton, Executive Vice President, HIMSS Analytics, shared with me that one of the more profound discussions he had with you was on the topic of currency for healthcare information technology leaders. Can you share that story with us? Baker: The currency of the business of healthcare is dollars but healthcare is applied in a currency of minutes and each minute a doctor or nurse spends doing one thing is a minute they’re not spent doing another. We’re worrying about the percentage of the time available in day that is spent at the keyboard versus the bedside; the amount of time holding a mouse compared to the amount of time holding a hand. We want to be judicious with how we spend the currency of minutes of our staff so that it balances the needs of the business – the information systems, and the communications that the records provide – with the needs that the human beings who need our care and attention receive. As a leader, the currency of my work as a manger and executive is attention. I have to decide where to spend my attention units and be judicious with that because there’s the same opportunity cost. That’s why I have great sympathy for startups because it’s very hard for me to give up attention units to them that I could devote to my organization – to listen to a cold call pitch on a product solution. It’s also very difficult to try to dissect through the presentation to understand what the true opportunities of the product might bring – how it compares to its competitors, and what are the risks and unintended consequences that it might have. There’s a real challenge there because most of us don’t have enough time to spend with all the people who need our attention inside our organizations. So those who are outside, who are not currently our partners, and asking for 15 minutes are challenged because we all have to be very judicious in how we give up that time. One thing I will add is that it’s my opinion that the most persuasive approaches for a vendor is to have a credible client who has an enviable success that they’re willing to talk about with their colleague. Campbell: Sound, candid, and sage advice & insight. Thanks again Dr. Baker. R. Hal Baker, M.D. FACP, serves as senior vice president for clinical improvement and chief information officer for WellSpan Health, a regional integrated health system that serves four counties in central Pennsylvania and northern Maryland. In this capacity, Dr. Baker leads quality and safety initiatives as well as the use of information technology as a means to create a reliable patient experience across the health system’s hospitals, physician practices and ambulatory facilities. Dr. Baker joined WellSpan York Hospital in June 1995 as associate program director of the WellSpan York Hospital Internal Medicine Residency Program. He has also served as the lead physician at Apple Hill Internal Medicine, which is part of the WellSpan Medical Group. 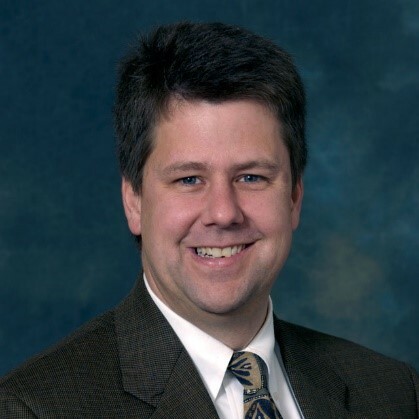 Dr. Baker came to York after completing a general internal medicine fellowship at Johns Hopkins Hospital and a residency at the Hospital of the University of Pennsylvania. He holds a bachelor’s degree in biology and a medical degree from Cornell University. One Patient. One Record. That’s the philosophy at Contra Costa Health Services, where David Runt is Chief Information Officer. Their uniquely structured health department has everything health-related under a singular patient record, all fueled by Epic. They’re most healthcare organization’s dream. Runt considers himself fortunate to be a part of it. In this interview, he discusses CCHS’s transition from build to buy, including the sunset of a large amount of legacy systems; their data warehouse good fortune; why their data retention standard is “forever”; and how CHIME stands out from other industry events. Our philosophy is one patient, one record. Use those talented internal development resources to build niche product for customers that you can’t buy. However, that served as the foundation to feed data into Epic. All of our data is going into the warehouse. It’s fantastic, the amount of data we have at our fingertips now. It’s revolutionizing our capabilities. Our philosophy is to retain the data forever. Given our model, we don’t lose patients, so to speak, to our competitors. Don’t be everything for everybody. Pick your niche. Get successful there and make a name for yourself there. Campbell: Please tell me a bit of about yourself and your organization. Runt: I’ve been with Contra Costa Health Services for eight years. I was in Arizona for ten years prior to that. Contra Costa Health Services is a county health department. We are probably the only one in California that’s structured the way we are, in that everything “health” related falls under one patient record. This means that, public health, mental health, EMS, hazmat, health plan, hospital clinics, everything falls under one health officer. We provide health in five jails across the county as well. In our organization, public health reporting falls under one umbrella, with health services & traditional hospital clinic structure falling under the other umbrella. As a result, we have a lot of flexibility in managing health across the enterprise. Our philosophy is one patient, one record. Whether that patient is seen in our hospital, our clinic, in our psych emergency room, in the jail, in public health – we know everything about them. We’re fortunate that we have that data in one location and we don’t have to coerce the data out of a perceived competitor such as the health plan or public health, like the other county health IT departments have to do. Campbell: What platform do you leverage for the EHR? Runt: We’re leveraging Epic across the enterprise. We’ve got it in the five detention facilities, as well as in our health plan. We’ve deployed it in behavioral health, in our own behavioral health clinics, and made it available to our network providers as well. We’re not selling services, but rather we’re giving the providers portal access for their patients. In this next year or so, we are rolling it out more into the public health space. Campbell: That’s exactly where your peers want to be. In talking to a lot of other folks, they have one system on the outpatient side, and a different system on the inpatient side. As a result, harmonization of nomenclatures and dictionaries between the two systems, as well as reconciliation of the data poses to be an ongoing challenge. Runt: Not to mention your health plans on another system! I could not imagine trying to get payer information on your own patients with that model. My counterparts are just pulling their hair out and feel fortunate to be where we are. Campbell: It allows you to focus for sure. 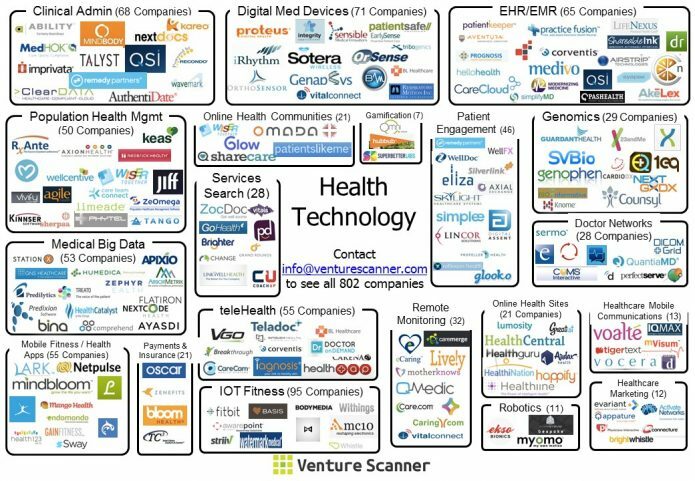 Speaking of that focus, tell me a little bit about your application portfolio, outside of EHR. How big is the portfolio? Are there legacy systems that are sort of sitting in the corner? Runt: Everybody has the legacy systems. When I got there, we were a cat and dog shop. We were a development shop and I had 50 developers on staff. They were actually writing—which got killed before I got there—a patient appointment system. Really that’s a commodity, you buy that, so a lot of these things were sunset when I got there. We turned the organization into a buy instead of a build. We had a LOT of cats and dogs, best of breed systems. We were the poster child for the best of breed shop. As a result, bringing in Epic proved to be tremendous, as we sunset somewhere around 75-100 systems. Some of these were just little Access databases sitting on someone’s PC, but we were able to sunset a lot of that and reduce a lot of the ongoing licensing, maintenance and support costs. We’ve gotten out of the “build your own stuff” mentality except for specialty areas such as environmental health, where you have an underground storage tank inspection system for instance. You can’t buy applications like that, so we build those. We use those talented internal development resources to build niche products for our customers that we can’t buy. I am very fortunate that we’ve had a data warehouse for well over 15, maybe 20, years. It wasn’t very populated, in fact it was primarily financial data, because of these cat and dog systems. However, that served as the foundation to feed data into Epic. All of our data is going into the warehouse. It’s fantastic, the amount of data we have at our fingertips now. It’s revolutionizing our capabilities. Campbell: Data liquidity cures all. Now when you went through that consolidation process, did you archive the data into that data warehouse? Runt: Most of the data was already there. Those cat and dog systems, the ones that were sitting on somebody’s desk, we probably didn’t need that data anyway. It was Excel spreadsheets, or Access databases – those really didn’t have an impact on the business overall. Some of those systems that we sunset, we just took the data, imported it into SQL and populate it into the warehouse. Campbell: That’s a critical point. The archival strategy whitepaper we discussed examines the tradeoffs, when you extract data from a legacy system and you store it because inherently you’re changing the shape of that data. You’re changing the shape of it to store that data; you’re changing the shape of it to present that data. There’s also metadata and audit trails considerations. All that said, looking back on what was your archival strategy and how did you handle it? Runt: We did not have an EHR. We had MEDITECH primarily for billing and ADT functions, and consequently, we didn’t have much clinical data in there. A year after I got there, CCHS finished a painful implementation of ED, and that’s the only clinical data we had. That was already in the data warehouse – we took it from MEDITECH and populated the warehouse. Other than that, it was billing information from our third party billing systems. We really didn’t change the shape of the data that much. Campbell: Shifting gears a little bit, I’d like to get your perspective on data retention requirements. I’ve been talking to some of your peers about the fact that most states require persistence of the data for 7-10 years. A lot of EHR vendors don’t allow the ability to purge and there may be some instances when you do you want to purge that data. For instance, when that patient is no longer yours, you’re no longer seeing that patient, yet you still have their data so there’s still some liability associated with that if there’s an eDiscovery request. Runt: Our philosophy is to retain the data forever. Given our model, we don’t lose patients, so to speak, to our competitors. Being the county, we serve a unique, well-defined, patient population. Yes, some people will flow in and out of the system, depending on their economic or social background, but for the most part we retain our patients. So we want that birth to death record to be available, wherever that patient may present. The patient could move around the county, but they’re still going to be seen in one of our clinics. Campbell: And does Epic natively allow for ease of eDiscovery if you have an inquiry for a record? Or do you go to the data warehouse? Runt: We go to the data warehouse for that. Campbell: Shifting gears again, let’s talk a little bit about CHIME. Certainly the networking aspect alone is unparalleled. Tell me a little bit about how long you’ve been coming to CHIME and what you are looking to get out of it, specifically, this year as it relates to your initiatives. Runt: I’ve been in healthcare IT for 36 years and have been a CHIME member for about 15 years or so, maybe longer. It’s much better than other industry events in that you have the one-on-one interaction with your peers. CHIME gives you the opportunity to reconnect with peers whom you have a relationship, and also connect with the important vendors. Other events have 20,000 vendors there and half of them won’t be around the next year; half of them aren’t relevant to the types of things I’m focused on. It seems that only the “cream of the vendors” are associated with CHIME. It gives you the opportunity to interact with them, have meetings and meals with them, social interaction with them, which for me has been a benefit. Unlike CHIME, I don’t go to other events for the sessions, I go there to talk to vendors. The sessions at CHIME are different from a lot of industry events and conferences in that they are educational and not sales driven. Campbell: It’s just more focused here. Runt: Exactly. It is more focused, and I wish there were more organizations like CHIME for non-healthcare because there are a lot of good ideas out there in the marketplace around data, around PMO activities, and other things that are not purely healthcare-related. Campbell: Lastly, focusing on HealthIT & mHealth’s audience, which are startups and entrepreneurs, do you have pieces of advice for them? How does a niche, small, little-known startup- vendor capture your attention? A lot of these startups are jumping into the fray with patient engagement solutions and if you really look at it, are they really solving a problem for their end customers? This is a very broad question, but if you have any piece of advice for startups and entrepreneurs entering into the healthcare space what would it be? As a CIO of major healthcare system, one of the most important lessons Perry Horner learned was when he found himself personally forced into the complicated world of connected health. With his new motto of ‘keep it simple,’ Horner is taking on the connected health world full force, implementing new and affordable technologies, always looking three years ahead. In this interview, Horner talks about Adelante’s EHR transition from Vista to Nextgen; his data governance strategy; and what he’s looking for in a practice management system solution. He also discusses his compelling personal story with the healthcare system and the improvements he’s pushing for to make solutions simpler and more affordable to all. I never used to be an agile project management style person, but over time I’ve changed and I see the same thing with software. Gone are the large monolithic products, where they do everything. Stick with your core competencies. If you’re doing something well, partner with someone who’s doing the other part well. Make one conglomerate product. That’s where I’m hoping to see things go. I was in the ICU for 10 days, and when I got out I had 5 months to recover before I could go back to work. During those 5 months I went through the ringer as far as what a patient experiences, and I was taking notes. Mental notes and physical notes as to what I was seeing, how things were being treated, keeping a focus on technology. When I got back, I wrote a 5-year plan for Adelante and I infused into it what is now called “Connected Health”. I’m tired of hearing “I have an app for that.” I’m experiencing app overload. I’m kind of reversing thoughts, back to making it simple. Forget about trying to capture the whole supply chain. Find your place on the supply chain and just focus on it. Do the best you can there. Campbell: Let’s start with a little background. I saw that you actually come from the vendor side, that’s probably a helpful perspective to have when working for a provider organization. Tell me a little about yourself and where you’re working at now. Horner: In my previous life I spent 17 years at ASU, I was the Head of the Library Systems, Technology Support and Development department. I jumped into healthcare with Adelante Healthcare because they intrigued me with a position opening, a Linux network administrator—which there is no such thing, so I was curious about what they were doing. The CEO immediately gave me an offer to head the entire technology operation there so I took that. I inherited their EHR at the time. At that time Adelante had 7 locations. The first site they brought up using the open sourced version of the VA Vista EHR, and with the success of launching that site, we received a HRSA HIT Rapid Grant. Two Grants actually: one to form a HCCN, and the other to implement an EHR for all those members. Two other community health centers joined us and we became an HCCN and implemented Vista for all of them including Adelante, which was a member of HCCN. I was then hired by the network, which was called the Community Health Open Source Network, as their CIO. I hired three others and we developed out our support department for all the members. That lasted 18 months and then our largest contributing member pulled out and it was not sustainable anymore, so we decommissioned everything. Adelante Healthcare was on Vista and I knew we could do better, even though as a technologist I was in love with the Vista system. It’s a MUMPs database, which is basically a flat file database, beautifully written, I’m amazed at it. As far as the end product and the application, for us, there was a little of the square peg round hole that had taken place. When Meaningful Use, the whole Accountable Care Act, etc, came about, Vista kind of squeaked by. My crystal ball said that this is going to give us problems all the way down the road with stage 1,2,3, and having to actually develop all the little kludges around it, because there are no companies that are doing it. So I started a sunset on Vista and we RFP’ed for a new EHR. We settled on NextGen as our EHR. Before my time, when they were working on implementing the first site with Vista, it was done in a garage development style. The EHR that Adelante was using included traces of experimentation from the beginning and there wasn’t a demo or learning system created. So both the CMO and myself were not comfortable with bringing over the data into NextGen. Instead, we transferred over about 12 key demographics for each patient over into NextGen and left the entire chart in Vista. For the next year, providers would go back to Vista when they saw a patient that had a NextGen record and extract certain elements out of their chart and put them into NextGen. The whole patient cycle included about 38,000 unique patients. When that was done we started on the sunset project for Vista. It was too expensive and cumbersome to maintain the operational server. So I had to get all that data out of there and into a system diagnostics machine-readable format. I wanted everything to be indexed using four different identifiers, so you could do reverse look-ups using: date of birth, last name, social security number, and the medical record number. I wanted the format to be in discrete XML – specially in a CCD format. Every single patient record needed its own directory with sub-directories of all the imaging data and any other files. We needed two formats: the XML and then a presentation mode – everything in a PDF. In order to accomplish this, I contracted with a programmer, who over two years, finalized the extraction. Vista is so complex with its filing system hierarchy within that database. The referencing and finding the linkage of every piece of that patient’s record was challenging, as it’s scattered everywhere. I was quite impressed that we were 100% able to extract everything, reformat it and make it useable. That was our EHR at that time. At that time too, our practice management system was GE Centricity Practice Solutions, so there’s my next project next year, getting that data out. Luckily that’s a SQL database, much easier than doing it with MUMPS. Horner: We’ve got a plan for 2017: creating an information governance committee. In the meantime, everything is more specialized—a privacy committee, security committee, the various others around compliance, quality assurance—we want to bring all of that up into the next level of the leadership decision-making body and have an overarching Information Governance Technology Steering Committee. Campbell: Do you have challenges at all with interdepartmental nomenclature, mapping? How is that handled? Horner: Very wild-wild west style. We are small enough at the moment where we can still talk to each other and accommodate. Ten years from now we won’t be. We definitely need to have common definitions, common protocols. That’s why in 2017 the information governance will form and set the framework to start development from there. I’m pretty pleased that AHIMA has really taken the lead in producing a lot of resources around information and data governance. Campbell: And speaking of the portfolio, how many applications do you have in it today? Do you leverage any portfolio management applications or is it small enough where it can be optimized? Horner: Small enough at the moment. Right now, except for our HR system and a credentialing application, everything is on premise. In two years, we will have outgrown our corporate headquarters, so we’re building a new facility and this time around we’re not building a data center in it. The project kicks-off in December, and we are slowly migrating hosting out to third party, starting with the low hanging fruit – file services, those type of things – with the EHR at the end. Campbell: Mission critical applications last. Horner: Yes, we designed our Mesa Facility as our fail over location, so we do have redundancy there. We’ll continue to use that for fail over but for our primary, we want it in an external data center. And if anything is platform-as-a-service, software-as-a-service, we are always entertaining that. Anything that can accommodate a heterogeneous environment. Anything that’s HTML5, a no SQL database back-end, that true software-as-a-service environment, that’s what I keep my eye on. Any vendor that’s moving that route, has a product there, is large enough to actually interface with others. I never used to be an agile project management style person, but over time I’ve changed and I see the same thing with software. Gone are the large monolithic products, where they do everything. Stick with your core competencies. If you’re doing something well, partner with someone who’s doing the other part well. Make one conglomerate product. That’s where I’m hoping to see things go. For the next 48 hours’ things were looking bleak. I was on my last leg. I was feeling fine until that Monday evening when I was in the hospital. My heart was failing – down to 15% capacity, and my family was told I had maybe 48 hours, and to start making preparations. I had a team of twelve different specialists all trying to figure out what was going on, and finally it was a cardiologist who figured it out. It was my adrenal gland. One of them was causing this and he came up with a cocktail that actually worked, stabilized my heart rate and threw me on the road to recovery. A lot of times providers experiment. You’re on one medication and then they’ll check-in maybe three months later to see if that worked, and if not, it is changed. Now take this medication. Well it didn’t work in the first 72 hours, it’s not going to work for the remaining 90 days. Connected health solves this by having those monitoring and diagnostic devices in the home. It’s nothing new for the hospital world, in fact it’s been around for a while. You get discharged and you take a package home, that’s got a blood pressure cuff, a thermometer, a scale, or whatever, all connected via an app to your phone, to the internet. For me though, knowing how tired and wiped I was from the hospital experience, I cannot see how somebody who wasn’t a CIO would go through the process of connecting all of these devices, having to always spark up a tablet or a phone in order to see readings and do things to communicate. I wanted it to be as simple as possible. For example, with my scale in the bathroom, I could replace it with a connected device whereby, I just set this scale down, I don’t have to program it, do anything to it, I just have to step on it. Everything should be done already. The reading should be able to go back to my provider seamlessly. Same thing with the blood pressure cuff, I just want to press the button and that’s it. Nothing else. I went to HIMSS Connected Health Conferences, which was really a bunch of developers trying to figure out what’s going to play into this world, with not very many established products yet. I desired a product that was just dirt-simple. For our population, 50% of our patients are on state Medicaid, which means they’re in financial distress. I want our devices to be as [affordable] as possible. It just needs to be what it is. That was my ask. Create this…and there was a company that actually did. Carematix collaborated with Verizon to develop a solution. So now you’ve got your carrier service, and you’ve got your product. The transmission doesn’t go directly to the cloud from the scale. The scale actually communicates to this little hub device that is plugged into the wall or any outlet, hidden away. The patient plugs into the power, steps on the scale, anywhere in the household. They don’t need to program anything, don’t need to worry about it, don’t ever have to remember that they have the little box plugged into the outlet ever again. Everything works and it’s affordable. That was the other piece. Carematix has priced their product at a dollar – a dollar a day per patient. That’s $30 a month for two devices. The cloud based management system, the whole shebang, no carrier fees, nothing – that is everything. So for us, we’re looking at $360 per patient per year. That is sweet. Problem solved. But I had to wait 2 years for something like that to appear, and none of this is new technology. We’re going to do a pilot for two years now too. We have a control group – same chronic conditions, same age, everything very similar to its pair experimental group. The experimental group gets the devices while tthe control group receives traditional care. Over time we’re going to see if we can improve that patient’s health by early warning, being able to follow up immediately when we see something, and being able to contact that patient to see if we can change something. Improve that health much faster than the traditional way. If so, money well spent. To circle back around to your original question, that’s what that initiative back in May was about. Campbell: It’s seems you’re well in tune to startups. What learnings did you have with interacting with some of those startups and what advice would you have for folks in those areas that would give them a leg-up or make them more efficient? Horner: Well for me, I’m getting really jaded. I’m tired of hearing “I have an app for that.” I’m experiencing app overload. I’m kind of reversing thoughts, back to making it simple. When it comes to solutions, if you can shift the time and complexity away from the end user, make it as simple as possible and most importantly, know and understand your customer. I can’t believe the complexity of some of these devices in connected health that they’re sending home with elderly patients. Really? You’ve got to be kidding me. Keep it simple and affordable. Forget about trying to capture the whole supply chain. Find your place on the supply chain and just focus on it. Do the best you can there. Play nice with your competitors because the consumer is going to piece-meal their solution together. Apple has done this, but they’ve kept to their own ecosystem, so kind of do like Apple but in an open way. I’m a big open source advocate. Horner: That was my silver lining. That was my experience and I appreciate having gone through that. Because that was everything, from imaging to lab work up the wazoo, blood work every other day, the diet and dealing with the nutritionist. These providers, they want you to get better and they come up with their plan for you. These people come up with their plan for you, and it’s so much you’re overwhelmed. You were sick and recovering to begin with and then to be burdened with so much stuff to have to do. It’s almost like that’s the formula for you to fail anyway, even with those great intentions behind it. Somethings got to be there, that’s in my house, with me by my side—and it’s not my wife—that will keep me moving along but not somethings that’s going to overwhelm me. It’s got to be simple and easy. Part of my routine in the morning, is getting up, stepping on the scale. I do that already. It represents a great opportunity to capture that data because that’s got clinical implications. For others, there would be other things that they do, maybe someone gets on a StairMaster every day. Well do you hold onto it? Is it capturing your heartrate? Data. Capture it. Use it. Internet-of-Things, where we’ve got devices communicating to devices communicating to devices, intelligently. That’s going to do things. “Oh your heartrate is going up quite a bit, let’s lower the temperature in that room” I didn’t have to do anything. My smart watch already communicated to my smart thermostat and did that for me.